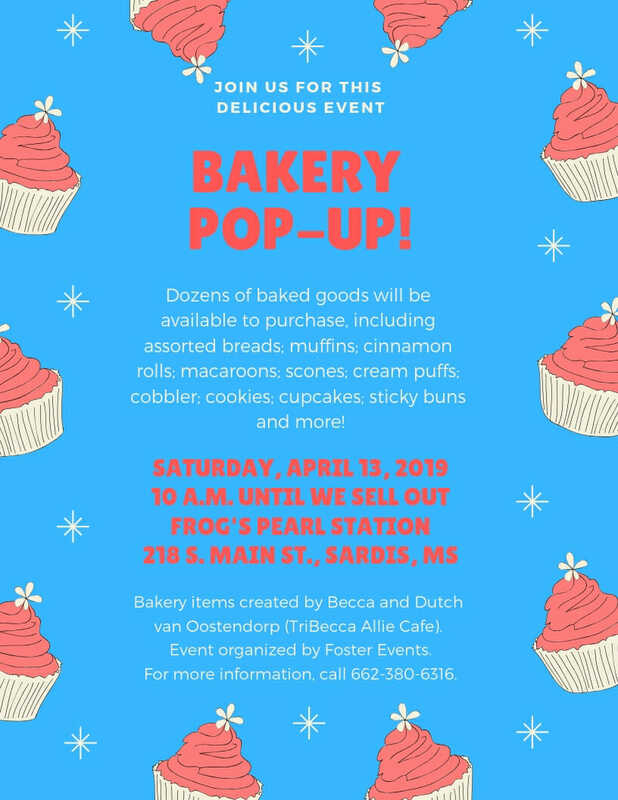 TriBecca Allie Café, Frog’s Pearl Station and Foster Events (a division of Grow Sardis) have partnered to create a Bakery Pop-Up on Saturday, April 13, in Sardis. Breads, pastries and specialty desserts will be available starting at 10 a.m. at Frog’s Pearl Station. The bakery pop-up will take place inside Frog’s Pearl Station, at 218 S. Main Street in Sardis and continue until the baked goods run out. Foster said the Sardis community is a natural fit for food events. 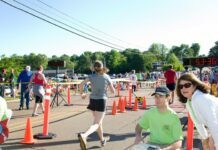 “We have a diverse, growing community that loves all types of food, an award-winning pizzeria on Main Street that people visit from all over the country, and a central location with easy access to highway 55,” she said. Find out more about Frog’s Pearl Station on Facebook and TriBecca Allie Café at www.tribeccaalliecafe.com. For additional details about the Bakery Pop-Up, contact Liz Barrett Foster at 662-380-6316 or writingtoliz@gmail.com. Thank you for sharing the news of our upcoming event!